In this section, you will find foreign languages for kids games including fun DVD programs that teach children foreign languages, books and CDs and many more. Bonjour Les Amis! 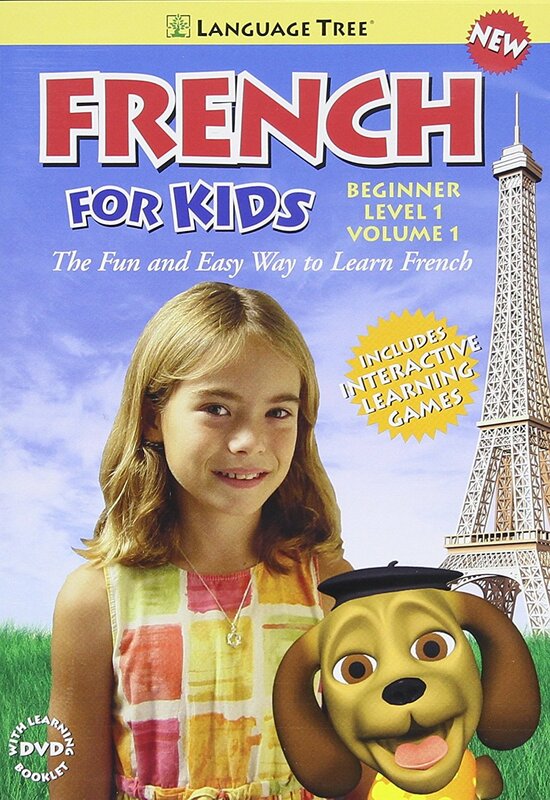 is a DVD that helps younger children learn French. It features a cat called Moustache who speaks with a French accent and lives various fun adventures. This French lessons DVD teaches children words and expressions, how to greet, count and includes many interactive games and even a booklet. This award-winning program teaches children hundreds of German words through entertaining episodes that feature a panda called Little Pim and activities. This program teaches toddlers and younger children German words by presenting everyday objects such as toys, animals, etc and the words are also written on the screen. This DVD features fun animated characters that teach children Spanish words and conversational Spanish through repetition and songs and fun interactive games. This DVD set includes four DVDs, entertaining videos that teach Spanish, a CD containing nice Spanish songs, a book, flash cards, games and even applications.